When the Palestinian people exercised their democratic right and voted for the Islamic Resistance Movement it enraged US President George W Bush and the then British Prime Minister Blair. 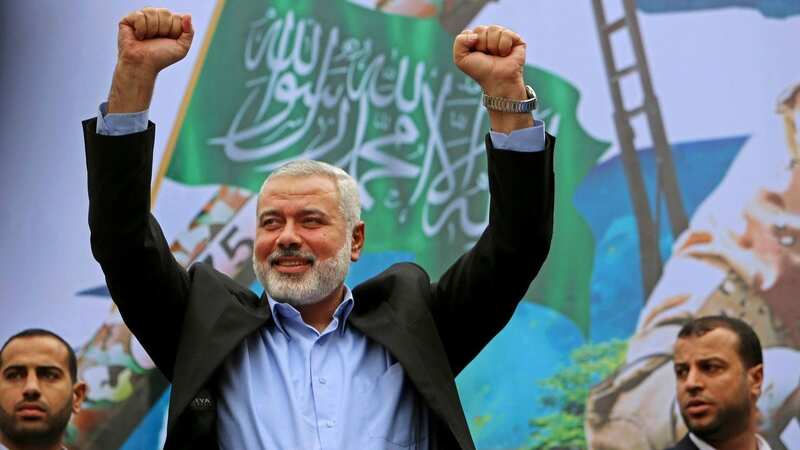 The US government in its wisdom has designated Hamas leader Ismail Haniyeh a “global terrorist” and imposed a raft of sanctions against him, which basically means freezing any US-based assets he might have. Two observations to make here. One is that Hamas has never moved its legitimate resistance to Israel’s military occupation beyond the borders of historical Palestine. That’s a fact and under international law everyone has a legitimate right to oppose occupation. So to label him a “global terrorist” is bonkers. Secondly, I will eat hay with a donkey if Haniyeh – born, raised, educated and still living in a Palestinian refugee camp – has any assets in the US. So what is this move by Donald Trump’s administration all about? And who the hell is advising Trump on Middle East affairs? By attempting to demonise one of the most hugely respected figures across the Middle East, the US once again shows it can never be regarded as an honest peace broker. Cutting out Hamas from peace talks would’ve been like US President Bill Clinton refusing to talk to Gerry Adams, the leader of Sinn Fein, the political wing of the IRA. Someone needs to tell Trump that when Hamas first took office to run the Palestinian Authority, the sanctions imposed on the Palestinians for voting the “wrong” way meant that money was extremely tight. Haniyeh ordered the salaries of PA employees to be paid before any official or minister took a wage. That was a measure of his integrity and sense of duty to his people. He is key to any future peace negotiations so may be when the next round happens, it’s the Americans who should stay away. Like it or not, Hamas is a major part of Palestinian politics. That was the conclusion last year by former Middle East Peace Envoy Tony Blair who admitted it was a major mistake to leave Hamas out of negotiations. When the Palestinian people exercised their democratic right and voted for the Islamic Resistance Movement it enraged US President George W Bush and the then British Prime Minister Blair. They moved immediately to cut off aid and sever relations with the newly-elected Hamas-led Palestinian Authority. The election won by Hamas, by the way, was judged free and fair by international monitors including a group set up by another former US President, Jimmy Carter. The Palestinian Authority under Ismail Haniyeh’s premiership was largely free of the corruption that mires the Abbas-led regime. Hamas cannot be bought like the Fatah opportunists in Ramallah. Could this be why they are favoured so much by the West and Israel, for whom they act as a security screen? Divide and rule is an old colonialist tactic, but it rarely works these days. Not only is the Trump Administration making an epic blunder with this latest move, just about everyone can see the move for what it is. This is an empty gesture from a US administration which is bankrupt of ideas when it comes to the Middle East.